Got a chance to take a ride on this classic babe, Citroen 2CV (one of the most ironic Citroen’s car) during our prewedding assignment trip in Nante, France. IT belongs to Winon’s host parents. A story behind it on how both of them met each others. 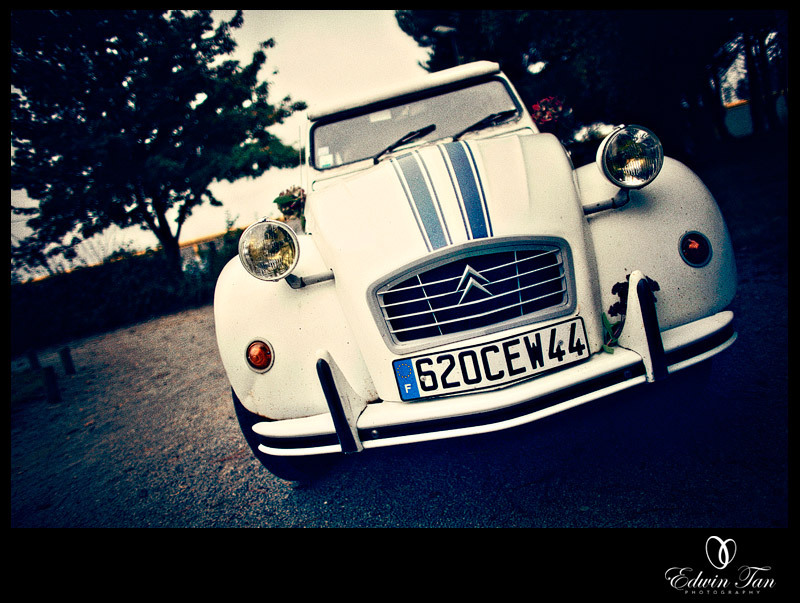 Jacques Mateos - oh yeahh.. nice to see a 2cv on your site.